This is the European Champions' second win in US as they went on to beat London Irish 26-16 during their last visit to Red Bull Arena in New Jersey last season. Mark McCall's men now move to the second position in the Aviva Premiership table while Newcastle Falcons slip to the fourth position following their first defeat this season. 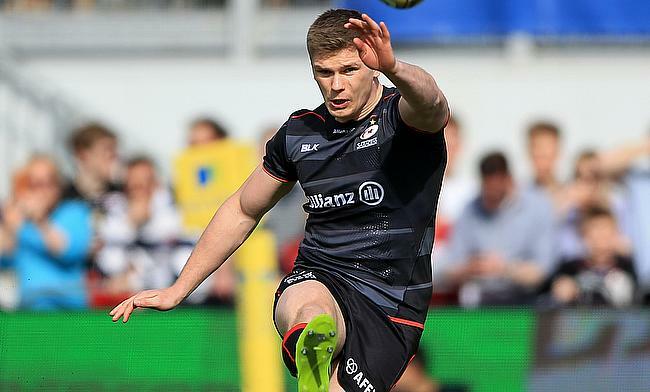 Winger Chris Wyles got Saracens off the mark with a seventh minute try while Owen Farrell slotted the conversion to help them claim a 7-0 lead. Comeback man Vereniki Goneva helped Newcastle Falcons bounce back with a touchdown of his own in the 25th minute and Tane Takulua's conversion saw the scores level at 7-7. The Sarries ended the first half with a slender lead of six points following back to back penalties from Farrell. The England and British and Irish Lions international kicked three more penalties at the start of the second half as Saracens stretched their lead to 15 points and their win margin took further boost when Goneva was sin-binned in the 74th minute for a deliberate knock-on that also resulted in a penalty try for the Sarries as they completed a 22 point victory.